October marks the start of the Olive Harvest season in Palestine. It’s eagerly anticipated every year, signifying a collective community effort in creating the most delicious olives and olive oil. 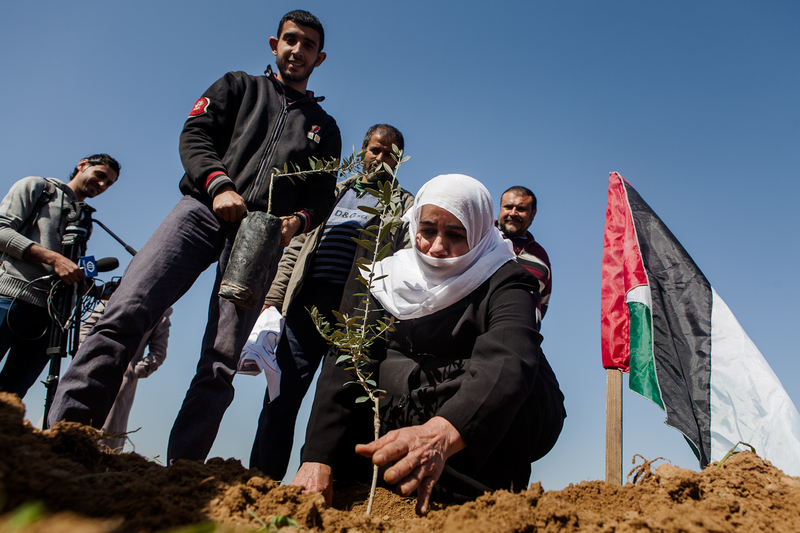 The olive tree industry is a vital part of Palestinian identity, history and culture, making up a large percentage of their income and food supply. Since 1967, the olive harvest tradition is in danger by settlers and the IDF soldiers, who attack farmers, destroy trees and steal their olives after they have been collected, making the Palestinian farmers fear for their livelihood. The olive tree is seen by many Palestinians as being a symbol of nationality and connection to their land, particularly due to their slow growth and longevity. It is an important part of their economy and used intheir food, to make soap and to light lanterns across churches in Palestine, like the Nativity and Holy Sepulchre. It is also used to anoint believers and when a Palestinian Christian family experience a miracle, they often dedicate a large tin of olive oil to the church. I have come bearing an olive branch and a freedom fighter’s gun. Do not let the olive branch fall from my hand. Olive harvesting is an ancient tradition in the Palestinian community providing major financial support for many families. 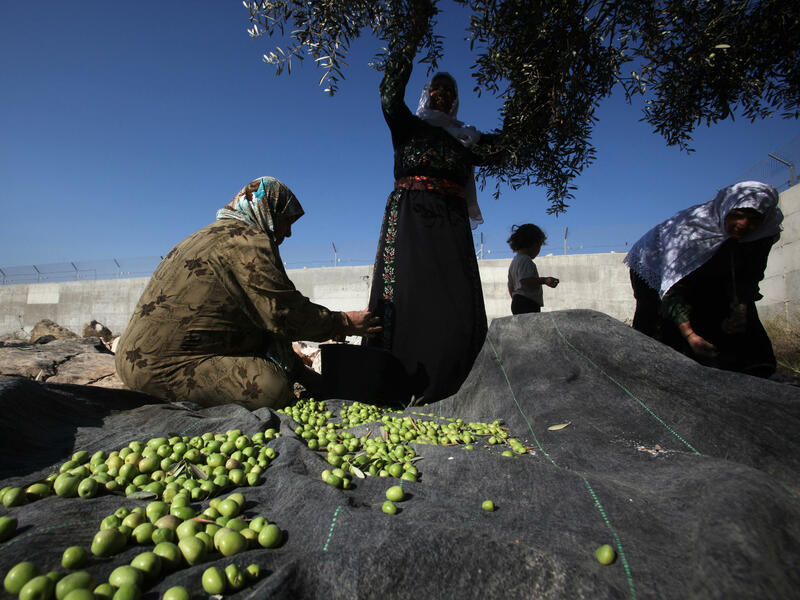 Most Palestinians are part of an ancient line of farmers and during this time, even if they have professional jobs, their lives in the fall revolve around picking ripe olives. Trees are poems the earth writes upon the sky. We fell them down and turn them into paper, that we may record our emptiness. When the harvest begins in October. it is a joyful family event where everyone gets involved, picking olives, singing folk songs and eating festive meals. Children take off school and adults take off from their day jobs to help their family’s villages with the harvest. Hands or plastic combs are used to make the olives fall from the branches to the tarp, making a gentle pattering sound. As one tree is finished, the family moves on to the next. Bags that become full with ripe olives, are piled into wagons that are pulled by tractors. Extra hands are always welcome for the harvest, and Palestinian society is historically inclusive; internationals could not come to a more welcoming place. Once their hard work is completed they gather around a festive meal and the fresh olive oil then goes home with them or is sold. According to the Holy land Trust, over 800,000 thousand olive trees have been destroyed by the Israeli military or settlers in the West Bank, since 1967. Each year during the olive harvest many settlers and IDF attack farmers, destroy trees, and steal their olives after they have been collected, making the Palestinian farmers fear for their livelihood. 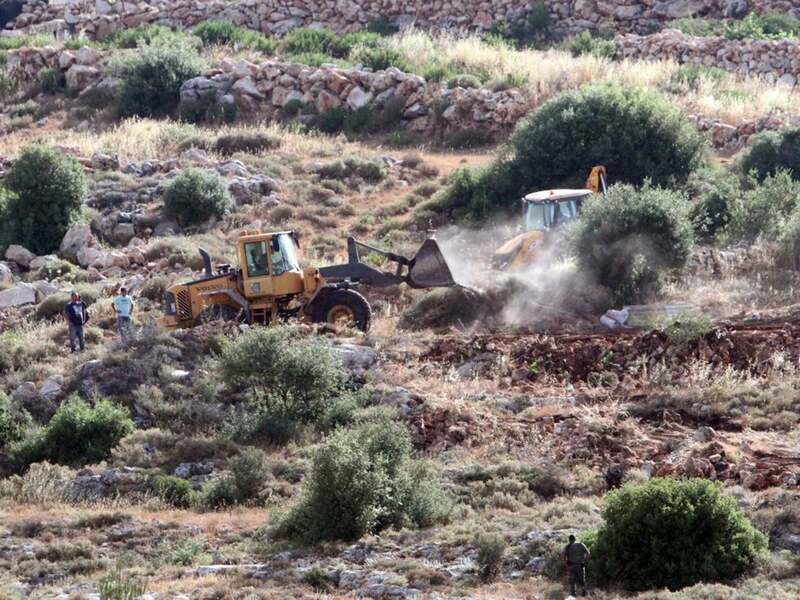 When olive trees are destroyed, or the olive crops are stolen, decreasing food security in the West Bank, leaving farmers and their families without a means for income and inhibiting their rights and the freedoms to their customs and way of life. The identity card that doesn’t need stamps or photos and whose validity doesn’t expire with the death of the owner and with each olive tree uprooted by Israeli bulldozers, a family tree of Palestinian peasants falls from the wall. There are many olives picking programs that you can join to help the protection of this ancient traditions.